Hilton has announced plans to open a new hotel in Copenhagen, following a franchise agreement with BC Hospitality Group A/S (BCHG). 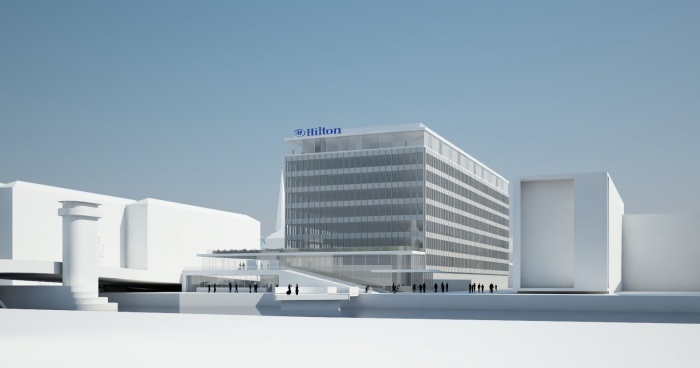 Hilton Copenhagen City Centre, a Hilton Hotels & Resorts property, will open in the heart of the city in 2020. The hotel will be located on Strandgade, one of Copenhagen’s most iconic streets, on the quayside of Copenhagen Harbour. Patrick Fitzgibbon, senior vice president, development, EMEA, Hilton, said: “Frequently hailed as one of the world’s most liveable cities, Copenhagen is praised for its culture, global connectivity, transport system and green spaces. “By 2027, Denmark is expected to attract more than 14 million international arrivals, making it one of Europe’s fastest growing travel destinations. The seven-storey Hilton Copenhagen City Centre will feature 400 guest rooms, including 44 suites. It will provide easy access to Copenhagen’s Central Station and the financial centre, as well as the Tivoli Gardens, the city’s main tourist attraction. Other popular sites close by include the Copenhagen Opera House and Christian’s Church, as well as Copenhagen’s Old Town and the National Museum of Denmark. The hotel is conveniently located eight kilometres from the city’s airport. The hotel will feature a fitness centre, executive lounge, lobby, bar and two restaurants, one of which will boast panoramic views across the Copenhagen waterfront. For corporate events and gatherings, the hotel will offer more than 600 square metres of function and meeting space. Allan L. Agerholm, CEO of BCHG, said: “We are really excited and looking forward to working with Hilton to bring this exciting development to life.